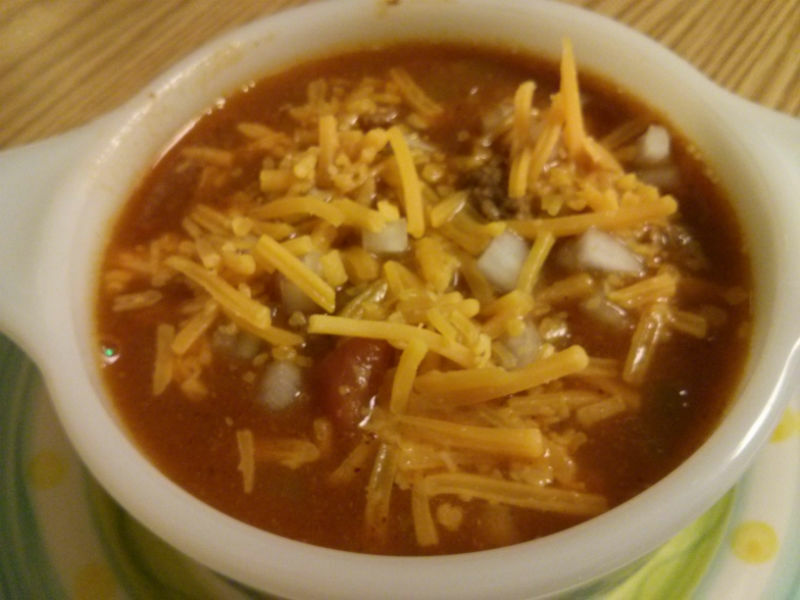 This Rich and Meaty Chili recipe is for anyone who loves Wendy's Chili as much as I do. Very easy to make and tastes just like the real thing. 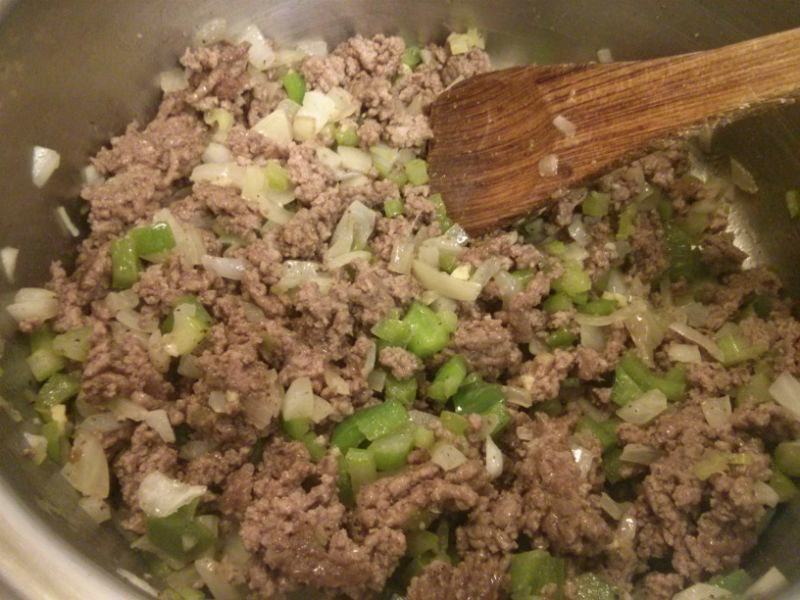 Chop celery, green pepper and onion, set aside. Portion olive oil, water, vinegar. 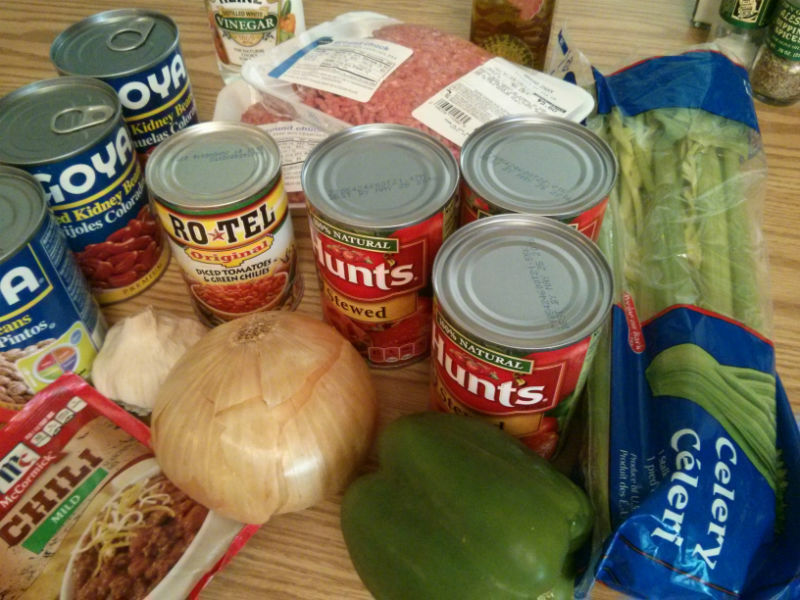 Open cans of stewed tomatoes, diced tomatoes with green chilies, tomato sauce, kidney beans, pinto beans. 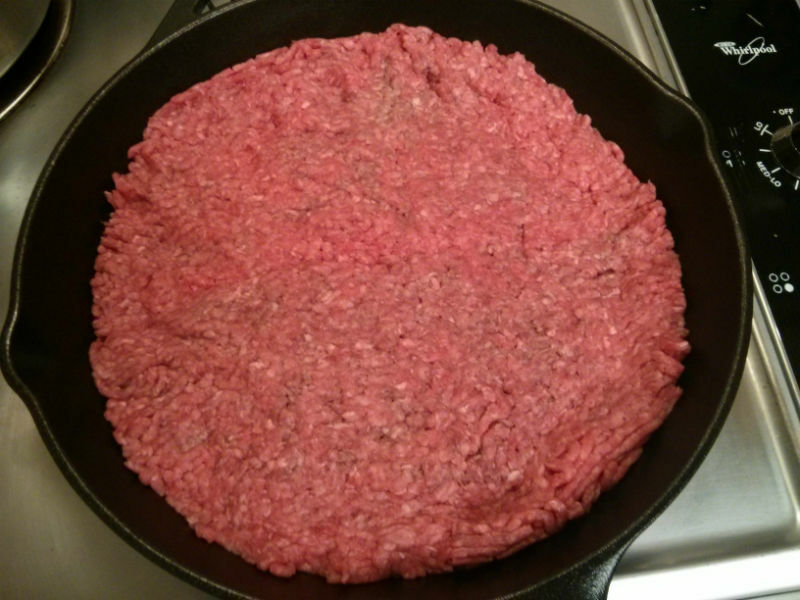 Press ground beef into skillet to form one large patty and let the bottom brown, about 8-10 minutes. Stir ground beef, breaking it into large crumbles and cook until no longer pink, about 5 more minutes. When ground beef is no longer pink, take off heat, drain off excess fat and set aside. Stir in celery, onion, green pepper, salt, black pepper and cook until onion is translucent, about 5 minutes. Stir in meat and garlic; cook for 2 minutes. Pour in stewed tomatoes, diced tomatoes with green chilies, tomato sauce and water. If large chunks of stewed tomatoes are present, break them into smaller pieces. Stir in chili seasoning and mix well. Mix in kidney beans, pinto beans and bring to a boil. After 1 hour, mix vinegar into the chili, adjust salt and pepper, if necessary and stir well. Serve hot topped with finely diced onions and shredded cheese. 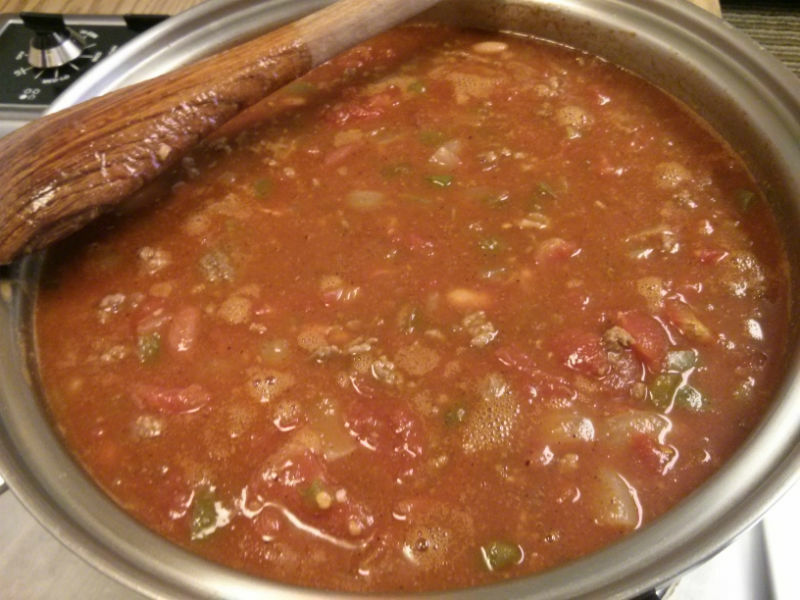 Filed Under Soups, Stews & Chilis | Tagged black pepper, celery, chili seasoning, green pepper, ground beef, kidney beans, olive oil, onion, pinto beans, tomato, tomato sauce, vinegar. Bookmark the permalink.